WASHINGTON (AP) — Seven former American ambassadors to the United Nations called on the Trump administration Monday to restore funding to the U.N. agency that helps Palestinian refugees across the Middle East. In a letter to Secretary of State Mike Pompeo, the ex-envoys from both Republican and Democratic administrations said withholding funds from the U.N. Relief and Works Agency will have national security implications for U.S. partners in the region, including Israel and Jordan. The agency is facing a major budget shortfall due in part to the suspension of U.S. assistance. The U.N. says UNWRA needs $250 million without which it will be forced to severely curtail programs to provide basic services — from food assistance and medical care to sanitation — for 5 million Palestinians in the Gaza Strip, the West Bank, Jordan, Lebanon and Syria. “This financial gap puts into question the ability of UNRWA to continue to deliver education and health care services to millions of people, and has national security ramifications for our closest allies, including Israel and Jordan,” the former ambassadors said in the letter, which was also sent to the current U.S. envoy to the United Nations, Nikki Haley. “We urge you to restore U.S. funding to help fill this gap,” said the envoys, who include Thomas Pickering and Edward Perkins, who served under President George H.W. Bush; Madeleine Albright and Bill Richardson, who served under President Bill Clinton; John Negroponte, who served under President George W. Bush; and Susan Rice and Samantha Power, who served under President Barack Obama. The U.S. has historically been the top donor to the agency, and last year provided $364 million. But earlier this year, the Trump administration announced that it was withholding more than half its initial installment of $125 million. The rest of that, along with additional payments, are on hold until the agency implements structural reforms. UNWRA director Pierre Krahenbuhl said at an emergency donors’ conference last week that the U.S. cuts along with other shortfalls are endangering food assistance in Gaza and medical clinics spread among the five areas, while about 500,000 children may not be able to start the school year. The agency was created after the war that followed the birth of Israel in 1948, with about 700,000 Palestinians living there either fleeing or being forced from their homes. 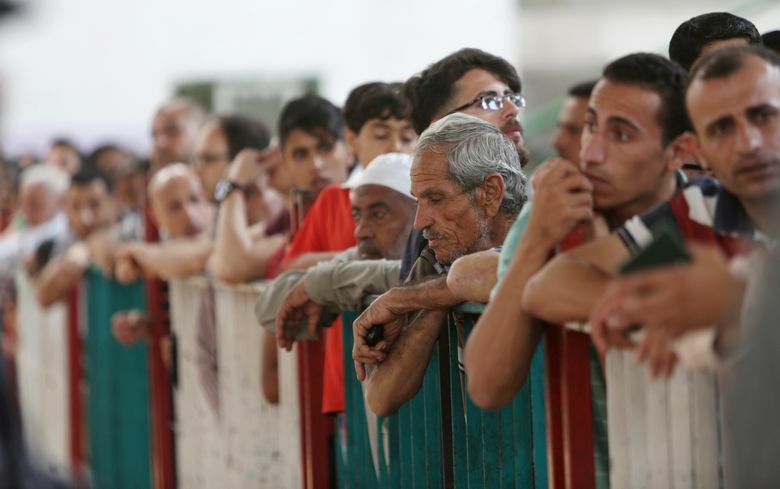 The UNRWA now faces its worst crisis in nearly seven decades, according to Krahenbuhl.